Remember the Trip to Panama? When Little Bear and Little Tiger fished an empty box labeled “Panama” from the river near their home, smelling of ripe bananas, they decided to visit the country and started out on a trip to search for what they thought must be paradise. They never found the land of their dreams, and instead returned home. If everyone had done like Little Bear and Little Tiger, the discovery of the country Janosch’s little literary heroes dream of would have probably never been made. How sad would that be, thinking of the many wonders Panama has to offer. A heavenly place on earth, it is split by the world famous canal on which sides there is much more to discover than the enchanting smell of ripe bananas on bushes in search of which Little Bear and Little Tiger originally started their voyage. Alongside one another, a rough Pacific coastline, white Caribbean beaches and an impenetrable jungle, just as thick as the neighboring, fast-growing jungle of skyscrapers in Panama City, cavort in an area of very little size: Panama is the southernmost part of the Central American land bridge. Its capital, Panama-City, with its massive skyscraping towers catching every visitor’s eyes, and reminding of the skyline of Dubai, is not only the linchpin of the country’s economy and its cultural, political, and social center, but also scores with a historic city center that is listed as world heritage by UNESCO. With its weathered but still charming architecture, winding alleys and flowers overhanging window sills, wrought-iron gates and balcony railings, Casco Antiguo spreads roughly from Plaza 5 de Mayo and the Avenida de los Martires to French Square. 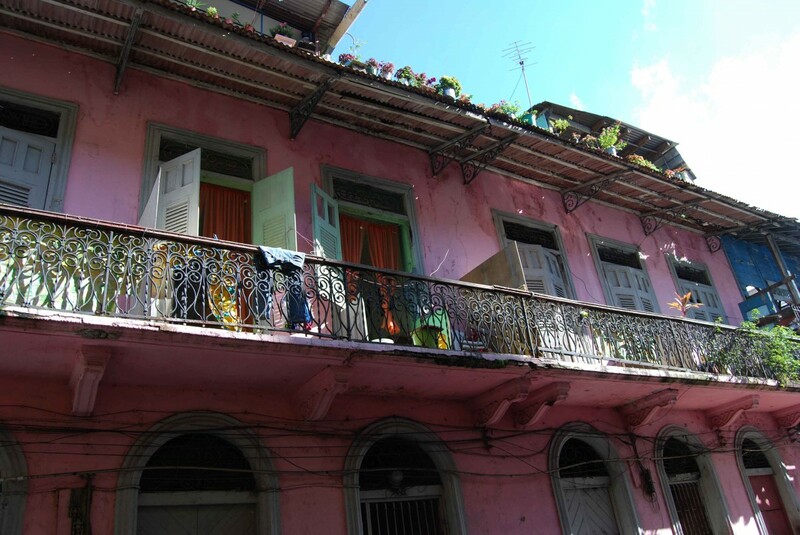 The historic city center of Panama’s capital vaguely reminds the visitor of the old city center of Havana. Bursting with life, these streets mirror the cultural and historical richness of the country. They tell the stories of conquerors and of colonization, of a golden age that came to a sudden end when British pirate Henry Morgan, also known as the later governor of Jamaica, seized and sacked the settlement. 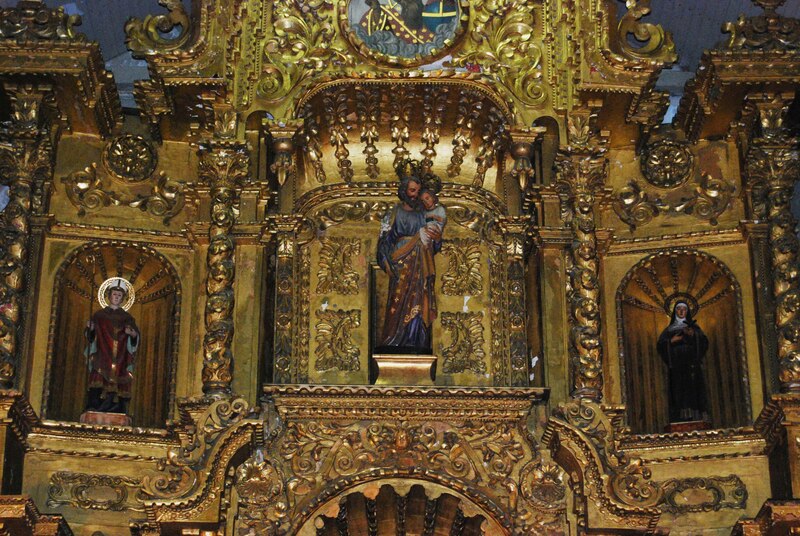 The gold altar that now decorates San José church is said to be the only remainder of the old city’s erstwhile wealth Morgan did not take with him, for its former owners, a group of Jesuit priests saved it by painting it black. Morgan and his men left it untouched, thinking it wasn’t of any value. The gold altar in San José church is said to be the only object of value Henry Morgan did not take with him when he sacked Panama’s Casco Viejo. Besides its intrinsic cultural richness, Casco Antiguo also is a haven for those in search of an alternative place to the gigantic buildings of glass and steel bordering the new town with its shopping centers and malls, its monstrous SUVs, and the kind of businessmen who profit from Panama’s economic boom. Life just seems slower here, less noisy, with better air and less traffic. Panama City seems to live in two different time zones. The historic center is currently undergoing a sumptuous refurbishment. Visually speaking, this major project will not bring much change, as Panama takes great efforts in monument protection and does not tolerate any change of facades. The atmosphere however, is still in danger. 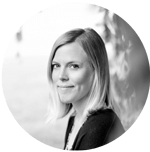 That is, as soon as today’s tenants aren’t able to pay their rents anymore, as soon as foreign investors move in – or those who prefer to work but not to live in the new town. Gentrification is no inconnu, not even in small Panama. Still, the visitor must succumb to the old city’s charm with its grocerers, icemen supplying schoolkids with sweets, and merchants selling Panama Hats, jewellery, and handicraft to tourists, as well as aged Panamanians enjoying their lunch breaks in the sun, reading their newspapers, or having a late-afternoon chit-chat. 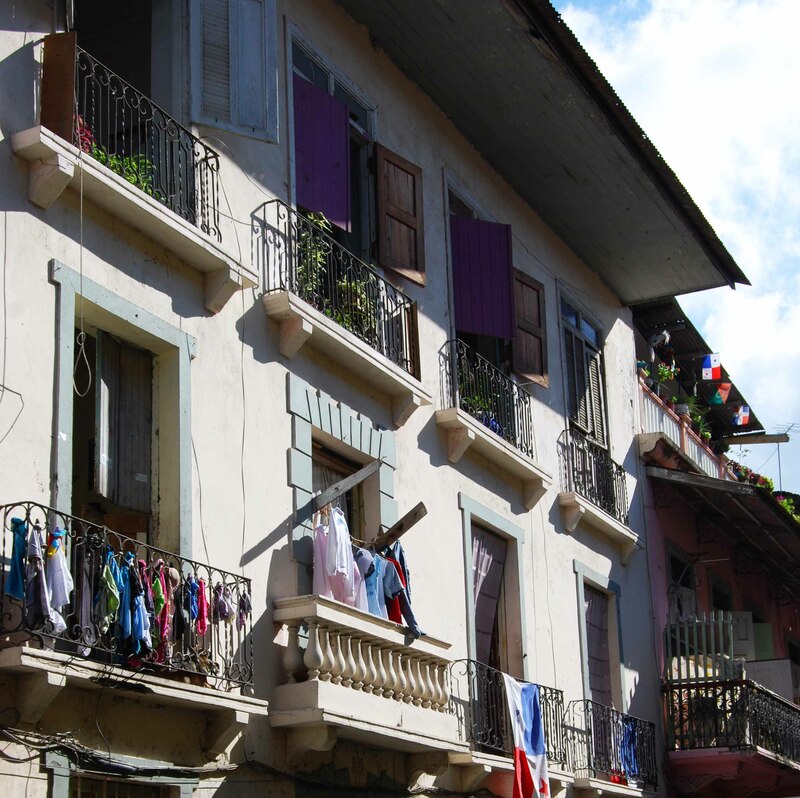 Panama city’s Casco Antiguo is a living place. 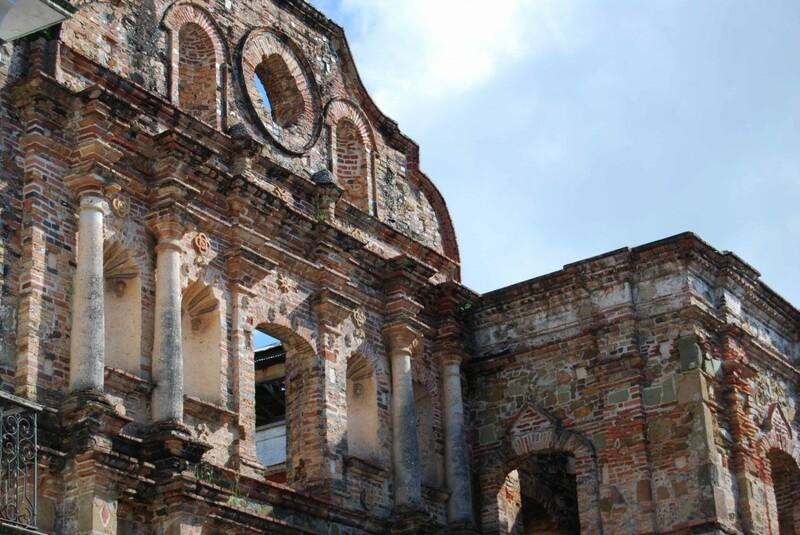 Parts of the old settlement of Panama City that was destroyed in 1671 by British pirate Henry Morgan can be found on every corner of Casco Antiguo. Don’t forget to bring your hat. 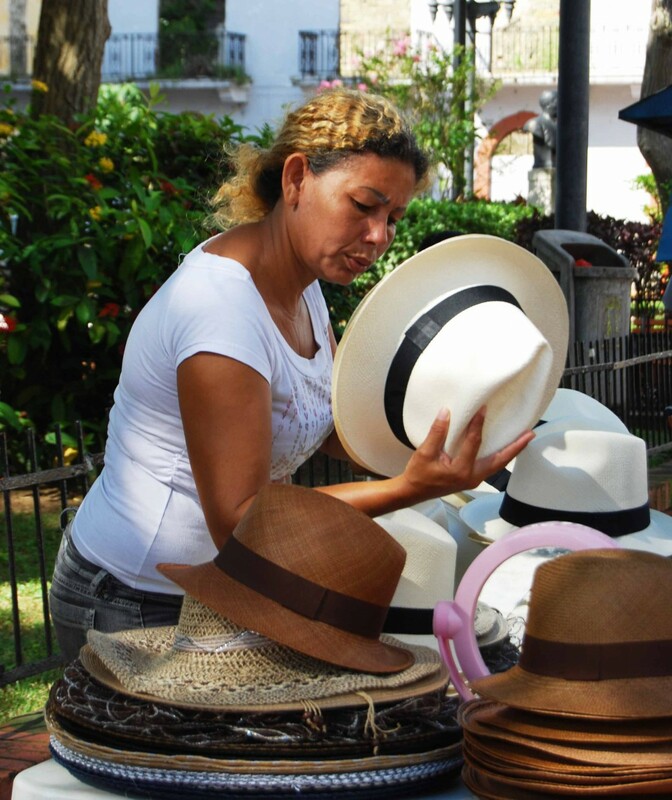 The Panama hat is the number one souvenir and available in different colors and styles. A lot of the stuff sold on the streets is crap, be sure you take a quality piece. You’ll get one for around USD 25. 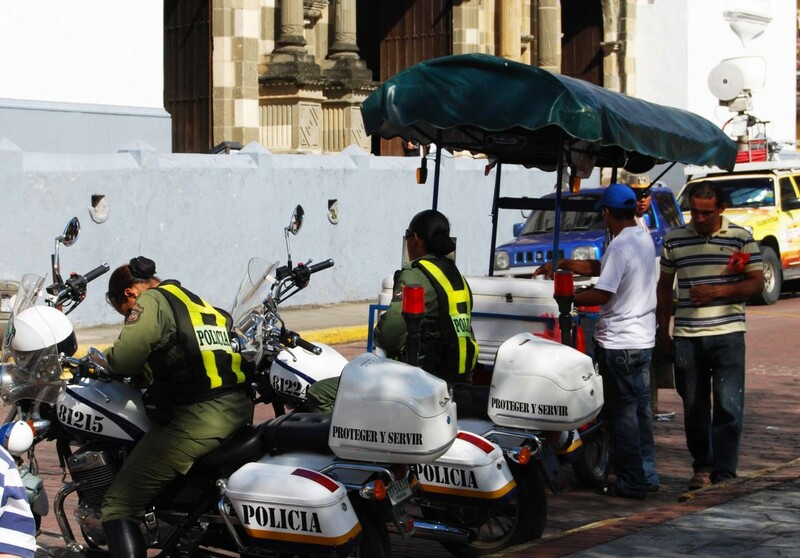 Even the Panamese police likes to take a break in the afternoon. Read more about Panama City here.